Irish Portrait Painter, Cork Artist, 18th Century, Biography and Paintings. Born in Cloyne, County Cork, the portraitist and interiors painter Philip Hussey was one of several Irish portrait artists, often similar in style, that emerged in the early half of the eighteenth century. 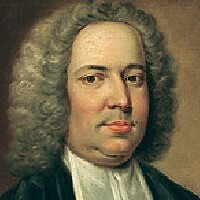 Other better-known contemporaries include James Latham (1696-1747) - whose works are sometimes indistinguishable from those of Hussey - the Englishman Stephen Slaughter (1697-1765) - to whom Hussey's works have sometimes wrongly been attributed - Thomas Frye (1710-62) and Robert Hunter (c.1720-c.1803) - by whom Hussey was also influenced. Details of Hussey's early life are scarce. We know he went to sea as a youngster, and during this time practised sketching as well as portraits. In due course, he settled in Dublin, managing along the way to acquire the support and patronage of Lord Chancellor Bowes, whose portrait he painted. He is known to have visited England on at least two occasions, to study and paint, and was introduced to the Prince of Wales. He also executed a portrait of Sir William Yorke a Chief Justice of the Appeals Court in London. As a portraitist, Hussey was more skilled at portraying women than men, taking meticulous pleasure in depicting their dress and accoutrements. By comparison, his male portraiture is somewhat lifeless and dull. In Ireland, Hussey undertook numerous portraits for patrons in Kerry, Limerick and Clare, and in addition was an accomplished copyist. A man of many interests, including music and botany, he also dealt in paintings and other fine art objects. His residence in Earl Street Dublin became a popular meeting point for other Dublin artists, writers and musicians. Today, he is regarded as one of the major Irish artists of the eighteenth century.